The three steps offer a clear guideline for digitally marketing coupons. The plan is equally applicable to a wide range of attractive product or service offerings. 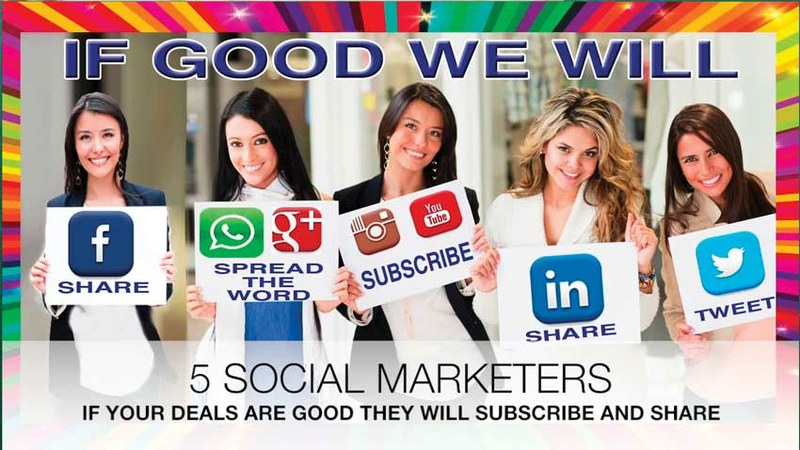 Given an attractive offer, the ease of sharing the good news across social media platforms is optimised. "Share Buttons" are positioned on every Webo online store page and on every product and blog page. All that's needed is an attractive offer such as a buy one, get one free, volume coupon offer for the news to go viral. As mentioned in the video, I recently wrote a blog thread on Viral Coupon Marketing. This topic is now published below as it offers depth to the matters discussed in the video. Your opinions would be appreciated and are encouraged. Keywords: Internet Marketing, Network Marketing, Social Media Marketing, Digital Marketing, Online Marketing, Small Business Marketing, Coupon & Voucher Marketing, Restaurant and Retail Loyalty Programmes. Video Script: Scroll to the bottom of this blog post to find the video script. Comments: Please register to comment on this page or tap a social share button of your choice above and link to your social media page. It is easy and just one click away. An Invitation: Let's get the conversation growing. Get Started: Join us, a site optimised for social sharing is free, and paid for by a small coupon charge to consumers. The Desired Outcome: A win:win for all. Step one: Create an attractive deal. We have all experienced the theory of supply and demand in practice. In short, as demand increases so too will price and visa verse. But what of the theory of utility? At what point in a falling price scenario will the consumer not take more? Two factors are at play; risk and utility. As the price drops so will the risk associated with a purchase. When a price drop is associated with a volume or quantity promotion, we see a consumer's appetite for a bargain tested. The testing of the elasticity of consumer appetites for value in volume buys, the world over, found favour in the 2/4/1 (buy two pay for one or buy one get one free) and 3/4/2 bracket (buy three pay for two). These promotions drive volume throughput. The popularity of volume based promotions rests in an understanding of the balance between fixed and variable costing. In sectors where capacity is idle and where the variable cost of capacity utilisation is low, the foundations for volume discounting exists, e.g., buy one get one free. The "trick" to volume discount marketing win: wins lies in pairing low capacity with low variable product costs. As an example, the cost of a perfume is likely to not be the liquid. The cost lies in celebrity endorsement and the marketing thereof. Thus a buy one, get one free promotion will not stretch the marketing budget and the contribution to overheads from the one or two items sold will be significantly different. In a restaurant, with say a food cost of say, 30% to 40% the supply of two for the price of one during an idle capacity period (say Monday to Thursday) will result in a 20 % margin. Where this sale is to a diner that is attracted by the promotion the sale of extras such as starters, drinks and desserts to two diners is likely to render an attractive margin to the restauranteur. Discount promotions, e.g., 50% off is a very different proposition to the vendor and the consumer. The vendor does not get the volume, and the consumer does not get something for free. It is a contest between free or cheap. There is a psychological perception around free that is attractive in cases where the deal is credible. Also, get one free does not create pricing expectations whereas a 50% off or pay only 50% campaign creates expectations for the future. Pricing strategy is complex. Care should be taken in assessing the implications of a long-term pricing stragegy. Where a percentage discount or volume based pricing structure becomes the normal price the implications need to be assessed and analysed. Variable pricing can confuse consumers however sharing strategy around incentives to promote capacity utilsation is recommended. Vendors can also bundle products to raise sales volumes by why of stretching demand with a buy one (or a defined bundle) get one free promotion. Step two: Market the attractive deal. There are two basic options as I see it for a local business marketing strategy. The first has much in common with aeroplanes. A big budget will make website marketing fly! The alternative is VIRAL MARKETING. A viral marketing strategy is based on the human desire to share. Back in the day, you went to church tea parties to spread the word, but today it is done with existing networks connected on Facebook, Twitter, Instagram, etc. The foundation to success is that you must have a newsworthy story, in this case, something that is of value for free, that people want to share and it must be easy and convenient to share. Viral marketing is attractive to small business as it levels the playing fields with big business as it only requires an affordable budget. Internationally, some 28% of consumers share deals via social media platforms. Least popular days for business become profitable with coupon deals. Read more. On the balance of probability, a two for one promotion will be a story worth sharing as consumers will want to be the one sharing good news. 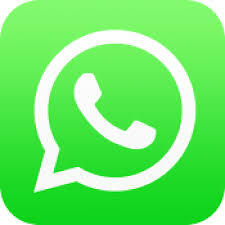 The Contact list is a give-away, ie, it is free and sharing is easy; it requires one click on any deal or blog page to link and share the deal with the users choice of social platform, eg, Facebook, LinkedIn, Pinterest, Twitter, WhatsApp or by e-mail. There are a variety of platforms for sharing. Your blog which is designed to coordinate and lead your social media marketing. Blog topics which offer a wide choice of social media sharing options. Your picture albums - which can be pinned on Pinterest pages. Your Twitter page which needs interesting tweets fed from your blog so that you attract followers. Your Facebook page which needs interesting topics, fed from your blog so that they attract friends to the page who comment and get a conversation growing. Your Instagram albums need to be filled with pictures that will attract followers. The content is good; impressive, interesting, sought after knowledge, hard to find useful information, etc. In other words, it need not be about free or cheap. Ask five women if they want it, and if the answer is yes, they will share it, as in general, they have a fundamental human trait to care for others. We all want to be popular and sharing builds popularity. It has an element of excitement; something credible that is free. 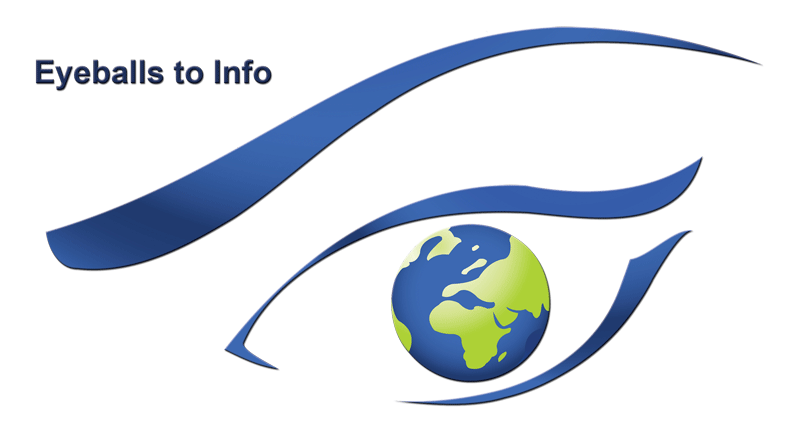 It is all about eyeballs to info. Free attracts eyeballs and eyeballs buy extras. Free is perceived to be more exciting than cheap provided the "gift" is credible and usable - put it to the test by asking your friends and business associates. It is easy to share such as by way of a one click button. The internet offers cheap and easy communication with established networks and integration with social media networks adds credibility as the message arrives from a known person that is sharing. 1. Our system of social media marketing gives away free contact lists for phones, sharing is easy, it excites motivators to be useful by shaving a benefit with friends and connections and it integrates with existing social media platforms that users already use. 2. Free Contact Lists attract eyeballs. The attention that is attracted is utilised to promote the coupons that offer users the option of "doing it for less." Thus you give away something to sell something. Track results, refine and repeat. Offer something free, e.g., buy one get one free, rather than a % off get it cheap promotion. Limit the time that the deal is to be availabel but if you regularily run spectials then call it, e.g., Deal of the month. Headline the actual savings. Promote the number,e.g., Save R167.00, rather than a % as busy consumers will not do the maths. Offer something as an enticement to subscribe to a loyalty list. With an e-mail address and name you can personalise offers. CLICK 0n the articles below to read more on this topic. How to build your network when you do not know anyone. Hello, I'm Alan Mackenzie, the CEO of Webo. Viral Marketing ideas, sound like a hole in a boat to many; because if it exists, it won't be for long 'cos you'll fix it or be swimming! Let me start by asking what you plan to do till you find the money to grow? 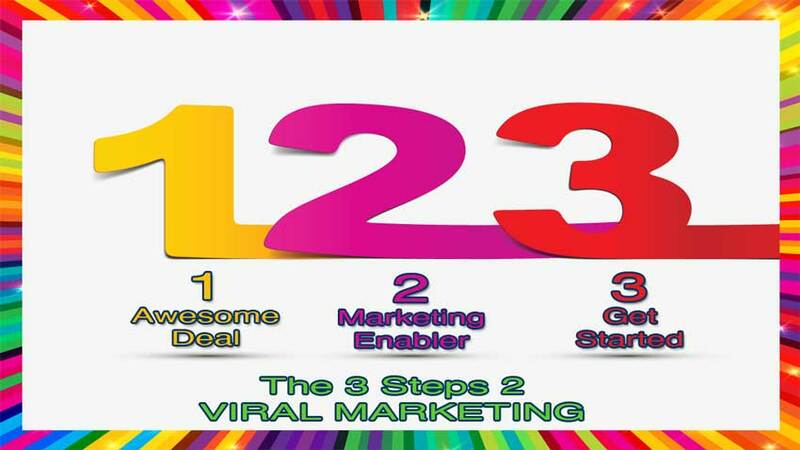 I've designed and built a system that can today become your lifeboat to viral marketing. 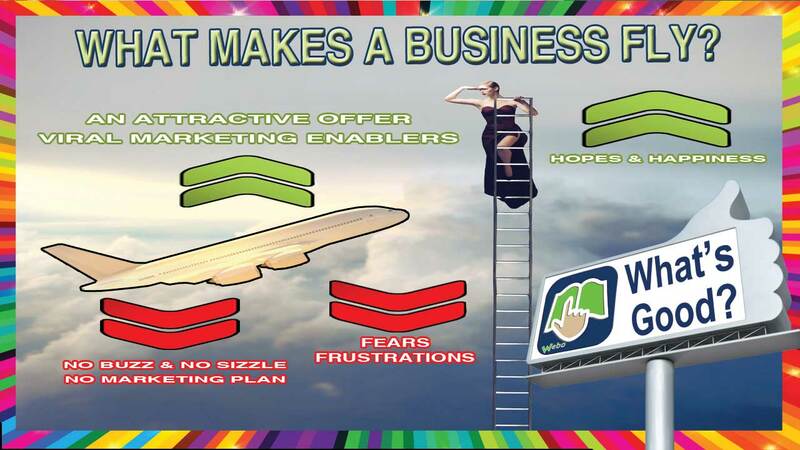 Even better let us reflect on what will make your business fly! I've had hundreds of thousands of flyers distributed, deliberated with trailer and billboard advertisers and run bulk e-mail campaigns to opt-in subscribers, but we live in tight times; restaurants are closing, and it's common to find great shops in the malls closing. How do you attract more customers and sell more to them? Many ask this question because volume drives profit, and profits sustain consistently excellent service, which, in turn, attracts more clients who buy more. In short, hopes and happiness are realised, but tight budgets drive fears and frustrations. Launch parties are no longer the key to success, and the crunch, what to do questions, are always shot down by cash flow availability. If you had an ear to a keyhole of many a local business would you be surprised to hear, "Marketing takes money, and to get going, you need to market an attractive product or service offering, that you sell at a loss." Can you afford this? The secret lies in believing that it is possible to leverage what you have so that you get an attractive product and someone to market it, for you, for free? We have found that stores that keep a fresh look, enhance the customer experience, as does efficient service. These things keep customers coming back, and they buy more and more often. With customer traffic, you get turnover and profit to afford the costs that drive success. But, how do you get feet in the door when people are cutting back on holidays, restaurants, new cars and savings? Let's take baby steps, but in fast forward, starting with, what is an attractive offer? Firstly, consider price discounts. Is cheap attractive? Absolutely yes, but it has huge brand consequences, and it embeds future price expectations. Secondly are volume discounts popular? Is buy one get one free attractive? Provided the product is desired, free has a magic all of its own. Let us agree with the world, buy one get one free is attractive and provided your variable cost is less than 50% it costs you nothing. Buy two get one free is another option as is buy three get one free, etc. In fact, if there are add-on sales such as starters, desserts and drinks the free offering stands to reward you richly. The success of a Free Marketing campaign is all about the eyeballs to information that it attracts. The reach of the internet is both locally intensive and global. Its power lies in that it shares knowledge. The Facebook mantra of CONNECT, LOOK AND CHAT sums it up perfectly. Can you leverage this? Yes, you can. Create a great deal and watch the conversation grow! Sharing with friends on Facebook, followers on Twitter and with business connections on LinkedIn is common. The number of friends you have is largely driven by how much you share, and this is a social barometer of your popularity. Seeking popularity is human nature. We chat every day about a wide variety of matters. Social network sharing about an attractive deal is assured provided it is easy to do. CONNECT LOOK AND CHAT works, the trick is to be the topic of the chat! 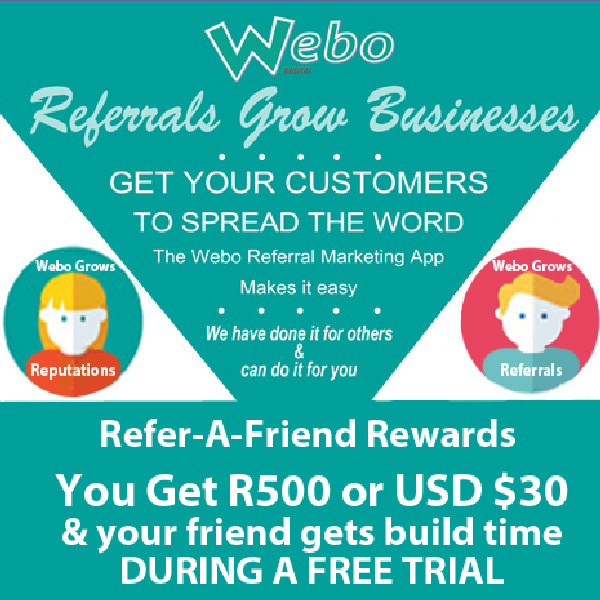 Webo has built a site builder with a focus on social sharing that is integrated with the social media platforms. Sharing is just one click away. Just select the preferred destination for your attractive offer and CLICK TO SHARE. Start with your network, and if your offer is good, it will be shared over and again. Be a winner and contact us to set up a free campaign for you. Free viral coupon marketing that just works is more than possible - chat to us because, together, we can make it happen. Step one: Create an attractive deal. Ask five women if they want it, and if so they will share the news with friends. Step two: Market an attractive deal. Dig deep and put your best foot forward. Design an awesome offer that costs you nothing and which is a win: win deal for you and for your customers. Step three: Contact us to build your viral social media platform. It's funded by a small charge to consumers for coupons loaded to their own free coupon account, and it's free to you.